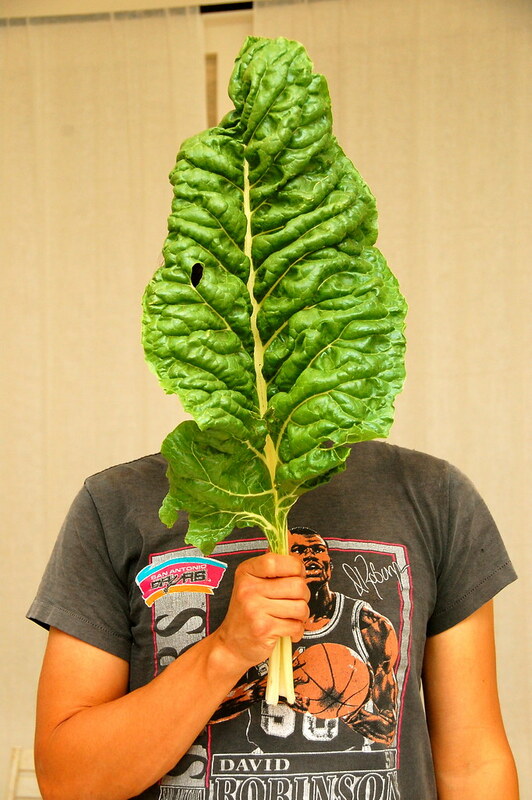 A contest for the largest swiss chard leaf in the world. Okay, not really, but I think we should. Don't you? Weekend was so, so good. I was surprised with a very delightful baby shower created by four craft geniuses. Dude. That's a big leaf. Perhaps you could string lights around it for Christmas. Or make a REALLY REALLY BIG massaged chard salad with sea salt, currants, grated apple, toasted walnuts, olive oil, and apple cider vinegar. Oh, I wish that I could have come to the shower! I hope you had a wonderful time, Ruby! i bet you had the most awesome baby shower ever. i want babies!! I made your adorable braided headband today and posted mine on Prudent Baby. Thanks for the great DIY!